J. David Rogers on the deadliest civil engineering disaster of the twentieth century. The St. Francis Dam on March 17, 1928. Photo by H.T. Stearns, United States Geological Survey. Public domain. Just before midnight on March 12, 1928, the 209-foot-high St. Francis Dam—a curved concrete gravity arch structure located approximately thirty-five miles north of downtown Los Angeles—suffered a catastrophic failure, one that occurred in the wake of a massive landslide that occurred along the dam’s left abutment. Constructed between 1924 and 1926 by William Mulholland (1855-1935)—the chief engineer of the Los Angeles Bureau of Water Works & Supply—the structure was designed to contain the water held in the St. Francis Reservoir, part of an ongoing effort to alleviate severe water shortages suffered by the fast-growing city. But when the dam burst on that fateful night, 36,180 acre-feet of water was released and a wave up to 140 feet high swept down San Francisquito Canyon, killing upwards of 500 people. 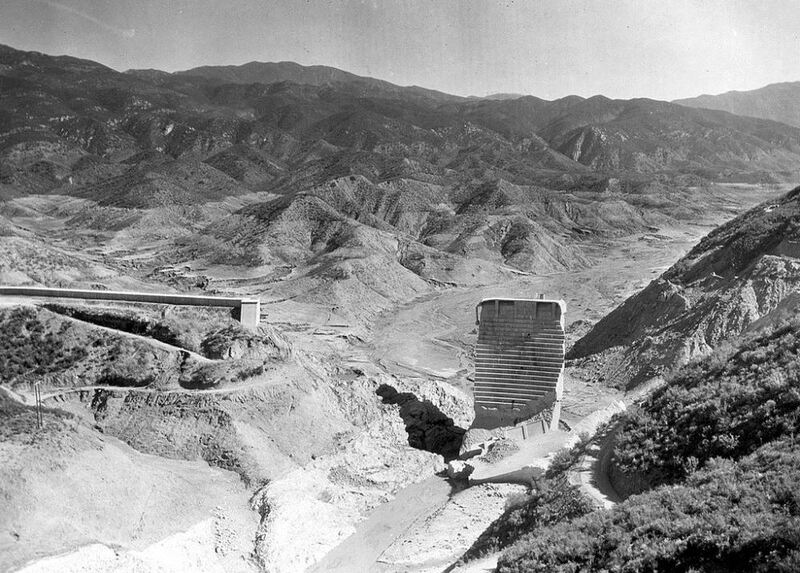 Among other things, the St. Francis Dam failure led to a retrofit of the Mulholland Dam, a concrete dam with a similar design that had been built in the hills above densely-populated Hollywood, California. 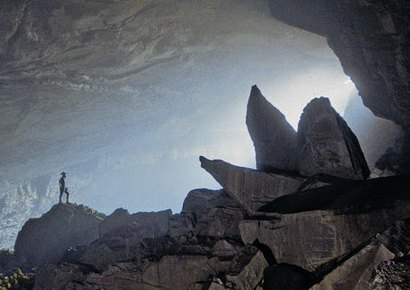 In the following interview, J. David Rogers—the Karl F. Hasselmann Chair in Geological Engineering at Missouri University of Science & Technology—discusses the lessons learned from the St. Francis disaster, including its impact on the civil engineering profession and the design of future dams, most notably world-famous Hoover Dam. How did you get interested in studying the St. Francis Dam? In 1966 Ralph Story did a segment about the St. Francis Dam disaster on the half-hour Sunday night program Ralph Story’s Los Angeles. My oldest brother was a civil engineer and we were very interested in dams so my brothers and I drove out to the site. Then the day I graduated from college—June 5, 1976—was the day the Teton Dam failed. I had applied to go to graduate school at Cal Berkeley and one of the professors at Berkeley, H. Bolton Seed, was named to the independent panel of experts appointed by the governor of Idaho to investigate the dam failure. Even though I was the youngest of all of the 93 graduate students in the geo-engineering program at Berkeley, he picked me to go out there and be his eyes and ears for the panel and do field work. It was a Mormon town with no booze and thousands of Mormon women going to college, and I was a clean-cut Marine, second lieutenant. He wanted someone who wasn’t going to drink, or look like a hippie, or get any Mormon girls pregnant. He told me that later. So I got this choice assignment to work on the biggest forensic case of my generation and got to meet all the most famous geo-technical engineers of that era. I reported my findings and that’s what got me started on looking at geo-forensics. What was the problem with the St. Francis Dam? You can’t have a dam fail simultaneously on both abutments in two different kinds of geology. That’s never happened before—or since. The problem was they didn’t design it for uplift. The sloping abutments didn’t have uplift protection and they failed. It was actually a left abutment failure and then the right abutment failed after three quarters of the reservoir drained. At the time most people saw the right abutment failing first but they were wrong. They didn’t have good backgrounds in forensics and they didn’t take [the] time. The governor’s commission met for six days and issued their report on the seventh and then they dispersed. They fixed the blame and that’s what the politicians wanted and needed. Ultimately, the St. Francis Dam had a huge impact on the evolution of uplift theory. If you look at all the literature on uplift theory, before St. Francis there were maybe six or seven people who mention it and say that they think it’s important. After St. Francis failed a lot of literature started surfacing on the subject. When an American Society of Civil Engineers (ASCE) committee on uplift issued a report in 1949 it was completely different from what everybody was thinking at the time St. Francis failed. What did William Mulholland do wrong that perhaps magnified the design problems? The really dumb thing that Mulholland did is that he plugged up the shrinkage cracks on the downstream face with oakum. That was the worst possible thing he could do, because then you have full reservoir hydrostatic pressure inside the dam pushing against the sides. So he had full uplift going. If you are going to grout shrinkage cracks you have to do it on the upstream end of the dam, not on the downstream base. He did it the cheap way, and that was not the right way. What impact did the St. Francis Dam failure have on the Hoover Dam project? It was a godsend for Hoover Dam and the Boulder Canyon project because that was the largest line item expenditure in the history of the U.S. to that point—$165 million. They had been trying to push that through Congress for eight years and were on the cusp of having that happen when St. Francis Dam went out. Congress appointed an expert panel called the Colorado River Board and asked them to spend six months looking at Hoover Dam in light of the St. Francis Dam and report by November 1928. They ended up making wholesale changes to Hoover Dam— [including] increasing the spillway capacity by 425 percent—because they said this dam had to be designed along “ultra-conservative” lines. They actually used that word, the first time I’ve ever seen it in print. The reason was if Hoover Dam were to fail and the water went down the Colorado River trough, when it turned the corner at Pilot Knob everybody would die, because the water would not go out to the sea, it would fill up like the Great Salt Lake. It would be a huge catastrophe of life, property, and environment. What were the implications for the civil engineering profession in the wake of the St. Francis Dam failure? It led to civil engineering registration in California and resulted in the formation of the Division of Safety of Dams, which is the nation’s premier dam safety agency—far and away the best and most conservative. So a lot of good things came out of it. It got everyone’s attention and caused people to look more carefully at what they were doing. And again, Hoover Dam benefited greatly from it, because that was the seminal project of the age that really advanced everything by a quantum leap. The largest man-made lake in the world prior to the Hoover was the Lake of the Ozarks in Missouri, [created by] Bagnell Dam. It had a maximum storage pool of one million acre feet. That was just unheard of. But Hoover Dam was 31 million acre feet and more than twice as high as the highest dam in the world at the time. And there was more concrete in Hoover Dam than all the other Bureau of Reclamation dams combined. Then Grand Coulee, a couple years later, was 3.5 times as much concrete as Hoover Dam—the largest concrete structure in the world for many, many decades. The 2013 American Society of Civil Engineers report on Dams indicates that your state, Missouri, has 1,588 high-hazard dams, the most of any state in the country. Why is that? We’ve got a lot of Scotch-Irish people here who don’t want the government telling them how to do anything. They go out and build these earthen dams and do it without any oversight. That’s a huge problem. But until somebody gets killed—a lot of children get killed—they aren’t going to do anything about it. I’ve testified at the State House three or four times—and I have a very good rapport with the politicians—but nothing happens till you kill people. It’s the same with earthquakes here in Missouri. They brought me here to be their big earthquake expert, but it’s like trying to sell refrigerators to Eskimos. [The thing is that] the New Madrid earthquakes were a long time ago and [people think] they aren’t going to happen again for a long time, and we have bigger things to worry about. That’s how people are. What about the overall state of our dams in this country in 2016. How would you classify the risks? We are looking at aging issues. We’re going to have dams that are 80 years old now and we are going to see failure modes we haven’t seen previously—like what happened with the gate failure at Folsom Dam in 1994. We’re going to have those kind of failures that sneak up on us that bite us in the behind, because they are due to fatigue and to aging and corrosion issues that you can’t forsee until you have those things happen. When you have that kind of failure occur it will cause everybody to look at and say, “Okay, if we had that failure occur at Folsom, could we have it occur on all these lock and dam structures on the Mississippi, Ohio, Missouri, and Arkansas Rivers?” The answer is, yeah. You have the same kind of gates, which are way past their design life. We are going to start seeing a lot of the aging infrastructure failing. Jon Wilkman, author of ‘Floodpath,’ on the St. Francis Dam failure. Berkeley Pit’s Snow Geese—Thousands of snow geese perished after landing in the toxic waters of Butte, Montana's Berkeley Pit. But the birds may not have died in vain.